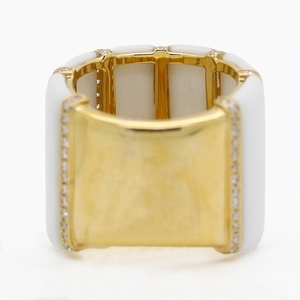 Agate & Diamond Band Ring Reliable Gold Ltd. 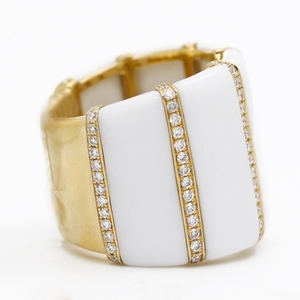 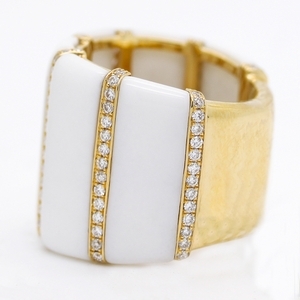 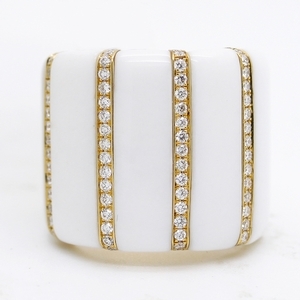 Unique, wearable wide band features chunky white agate pieces with rows of round diamonds, approximately .91 carats total weight, set in 18K yellow gold. 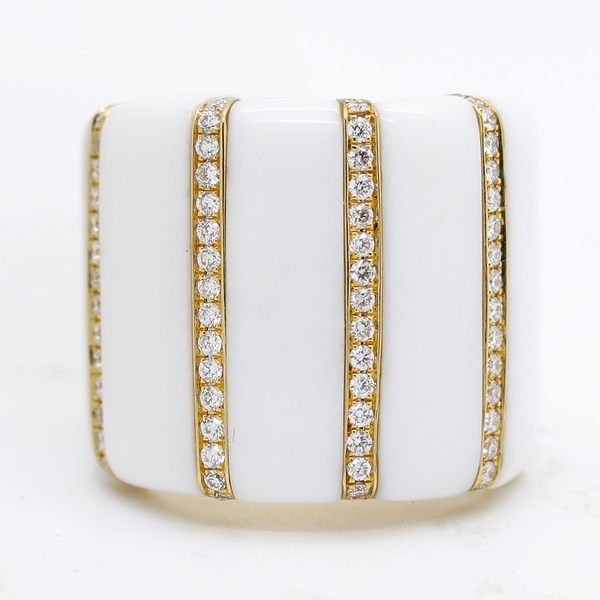 A bold and beautiful daily look!